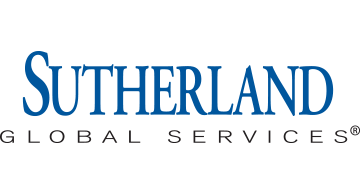 Established in 1986, Sutherland Global Services is a global business process management and technology-enabled outsourcing company offering an integrated set of back-office and customer-facing front-office services that support the entire customer lifecycle. It is one of the largest, independent BPO companies in the world, serving marquee clients in major industry verticals. Headquartered in Rochester, New York, United States, Sutherland employs over 38,000 professionals and has more than 60 global delivery centers in the United States, Australia, Brazil, Bulgaria, Canada, China, Colombia, Egypt, Estonia, India, Jamaica, Malaysia, Mexico, Morocco, the Philippines, Slovakia, Sweden, the United Arab Emirates, and the United Kingdom as well as a far-reaching team from CloudSource, Sutherland’s work at home program.